Picking a date can be a stressful event. There are so many thing to consider, your cousins graduation party, your great aunts 90th birthday celebration, your dads golf schedule. Who knows what obstacles you personally have to be considering when picking a wedding date. Don’t let holidays, religious events and conventions escape your mind when tackling this task. Here are some dates to try to avoid. 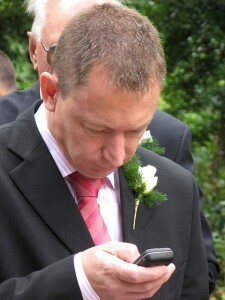 Holidays – Try to avoid planning a wedding right before a holiday Monday off since a lot of people will already have plans. 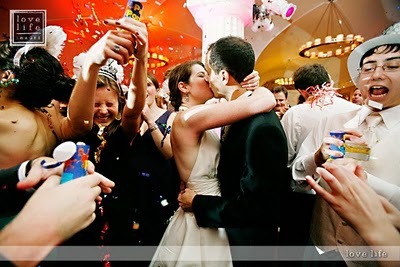 New Year’s Eve – although this is now becoming a popular wedding date. Religious Events – You may offend some people by having your wedding on or to close to these important religious holidays. Additional Events to Consider – These events may not be religious holidays but they will definitely impact your big day. Valentines Day – This can cost you a good chunk of your budget if you try to do floral arrangements on valentines day. April Fools Day – Thi s may make the perfect sense for you and your fiance but if you aren’t into jokes and pranks maybe consider another day. Mother & Fathers Day – Most people have traditional plans for these days and may not appreciate your day falling into the mix. Halloween – I have seen plenty of TV shows where people intentionally want to have a themed wedding that is fun and unique. But if you aren’t going to have a Halloween themed party I would keep in mind that this is another day where people may have traditional plans. Super Bowl Sunday – Plan for a lot of distractions from your wedding from a majority of men and women if you choose this day. March Madness – If you have a lot of sports fans on your guest list I would also steer clear of this Month. Events in the area – Check your cities calendar for any big events in the area that might make it difficult for your guests to get rooms or park. Keep these dates in mind before your date in stone it will help keep you from headaches later.